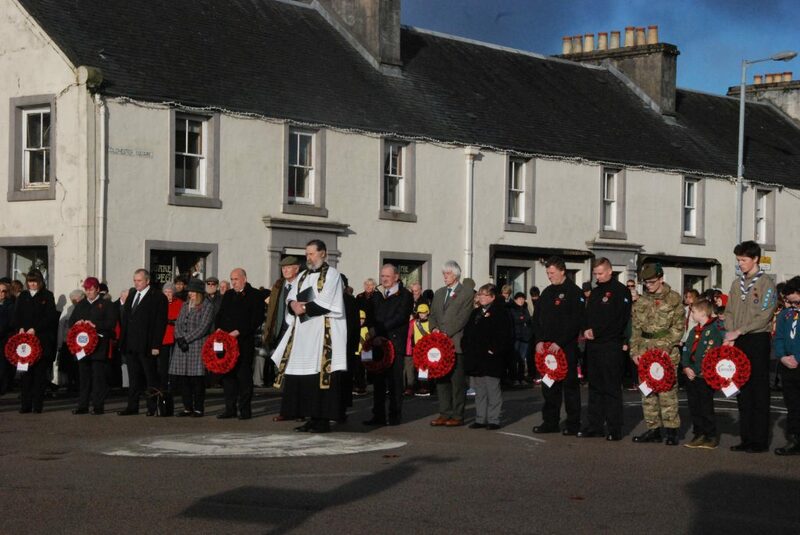 Welcome autumn sunshine last weekend greeted the many Argyll folk who turned out to pay respects to the fallen. In bright but chilly weather, services were held at town and village memorials all over the region on Remembrance Sunday. The day before, Saturday November 11, marked Armistice Day and a number of quiet acts of commemoration were held at 11am to mark the 99th anniversary of the end of the First World War. 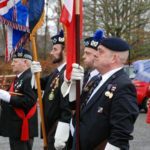 Mid Argyll Pipe Band led the parade along Argyll Street to Lochgilphead’s war memorial, where a crowd of around 100 people gathered to pay their respects. Father Simon MacKenzie of the Scottish Episcopal Church led the commemoration, reminding those present of the importance of forgiveness. People walked from Ardrishaig Parish Church, with piper Iain Campbell at the head, to the village memorial where the Reverend David Carruthers led a poignant service of Remembrance in bright sunshine. 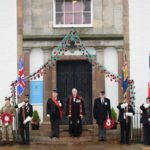 World champion pipe band Inveraray and District had the honour of leading the traditional parade from the parish church to Inveraray’s landmark war memorial. Snow-capped hills glistening in the background, Reverend Dr Roderick Campbell spoke of the sacrifice of service personnel during the First World War and in the many conflicts since then. As a big crowd looked on, he particularly emphasised the contribution of women in the years since they were first admitted to the armed forces. 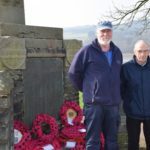 At Furnace war memorial on Sunday, Margaret Sinclair conducted the service as Reverend Roddy MacLeod laid a wreath at the monument. It was somehow fitting that the act of solemn Remembrance was punctuated by the chatter of children.